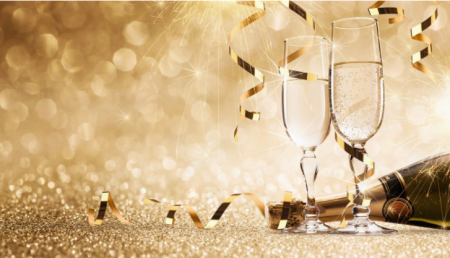 Grab your capes and blast off into 2018 with Sheraton Carlsbad’s Heroes Vs. Villains New Year’s Eve Party. Whether you fancy batman or the joker, dress up and partake in this family-friendly event starting at 6:30 p.m. on December 31. There will be buffet-style dining, live entertainment, kid’s party zone and two balloon drops at 9:00 p.m. and at midnight. Purchase tickets here. Celebrate the New Year a little early at the Legoland California Resort as the park re-creates the Time Square Ball Drop with a giant LEGO brick falling 22 feet in the air. The festivities begin at 6 p.m. so the little ones won’t miss their bedtimes and includes special glasses for viewing the fireworks display. Join the Sheraton Carlsbad as they host a four course prix fixe menu at Twenty/20 from 5:30- 9:00 p.m. The restaurant is perched atop Carlsbad’s highest point and will offer a DJ and a complimentary champagne toast starting at 10:00 p.m. Enjoy a four-course dinner, perfectly designed to ring in the New Year at Chandler’s located at Cape Rey, a Hilton Resort. Chef Teri curated the menu with mouthwatering selections including a Waygu ribeye and Chandler’s own Cioppino. Smooth out the recovery process by sipping on one of Chandler’s house made smoothies. We recommend trying the Ponto Greens Smoothie consisting of green apples, spinach, avocado, or The Healer consisting of ginger, hemp, flaxseed, peach and turmeric. If the hair of the dog is more your style, mosey on over to the Sheraton Carlsbad where you can find the Hangover Battler cocktail comprised of house made Bloody Mary mix, roasted red pepper, dill pickle brine, Siracha, and vodka- rimmed with Kosher salt, brown sugar, cayenne pepper- and garnished with candied bacon, celery, dill pickle spear, lemon wedge and a blue cheese olive. Head over to Cape Rey’s Ocean Crest Spa and choose from an array of themed spa packages like the Ocean Bliss package or the seasonal Joyful Spaliday’s package which includes the Bulgarian Rose Body Wrap & Massage which will revitalize your skin after a long night out. Rejuvenate your mind, body and soul at Sheraton Carlsbad’s Ocean Pearl Spa, where guests can find treatments to help with deep relaxation, detoxification and body-mind rejuvenation. We suggest checking out their signature Marine Mud Wrap and Warm Basalt Stone Massage.